Labor shortages are still a top concern for builders, especially in anticipation of the increased demand that will be coming as a result of the recent wildfires in the west and the hurricanes in Texas and Florida. News reports tell optimistic economic stories of new home sales hitting the highest mark in a decade, low supply of new homes and an increased median price for new homes¹ that indicates a willingness and ability of buyers to pay more for new homes. The downside of this good news is that this increasing demand puts pressure on builders to hire more workers, which was already a difficult task. According to the National Association of Home Builders (NAHB), open construction sector jobs increased 34% from August 1016 to August 2017. The number of unfilled jobs is likely to continue based on the growing demand. Some contractors have turned to prefabricating parts of a project to help reduce their need for skilled employees and maintain their construction schedule. For other homeowners, it means months of waiting until their home repair or replacement is started. The Sun-Sentinel has already reported on the difficulty of finding enough roofers to complete available projects quickly enough, even before the claims process has been finished for all homeowners. 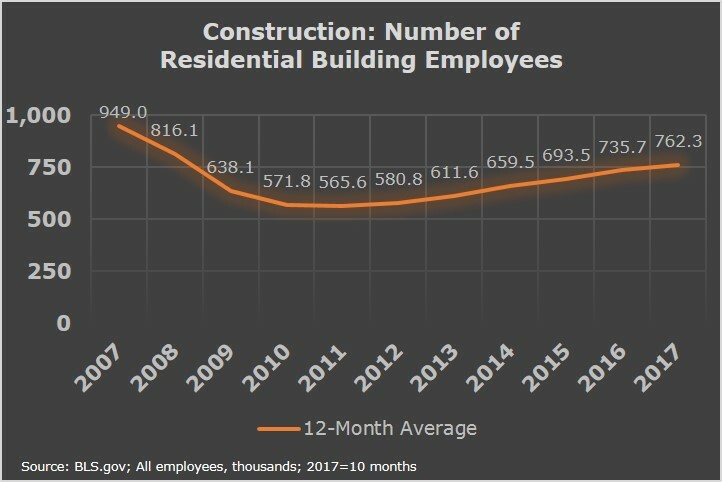 The average number of residential construction workers have increased every year since 2011 but has not yet reached pre-housing/mortgage crisis levels. Workers left the industry as jobs became scarce 2007-2010. Replacing them has lagged behind demand for their skills. 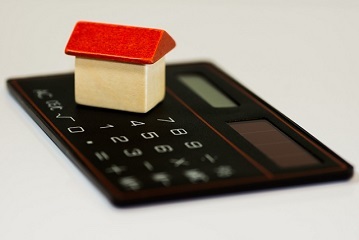 As greater pressure on pricing builds and markets react, it’s more important than ever for property valuations to be kept up-to-date.